Misery and woe. It has finally happened. Back in 2010, I made the mistake of deciding to embark on an epic quest. A journey so fraught with twisted deception and misinformation, I thought I would never be able to uncover the truth. 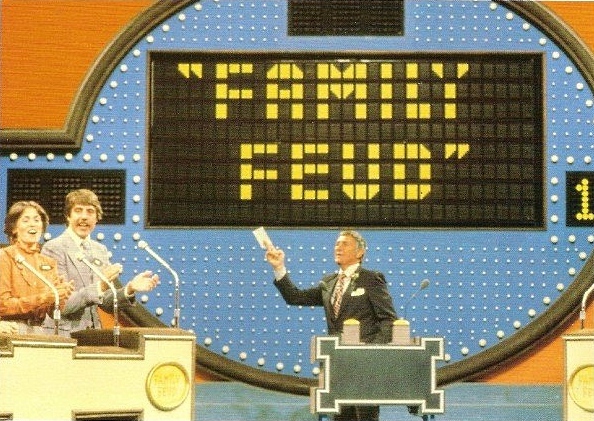 Now a brutal new kind of truth has arrived at my front door with terrible news: respected veteran actor and eventual game show host Svengali Richard Dawson has passed away at the age of 79. Hogan's Heroes, Family Feud, The Running Man, and Rowan And Martin's Laugh-In were but a few of his accomplishments from a long and impressive career. Every time I get a kiss on the cheek for luck, I think of him. We'll miss you, Richard.